Get involved in the "learn and play" recreational wheelchair basketball clinincs. 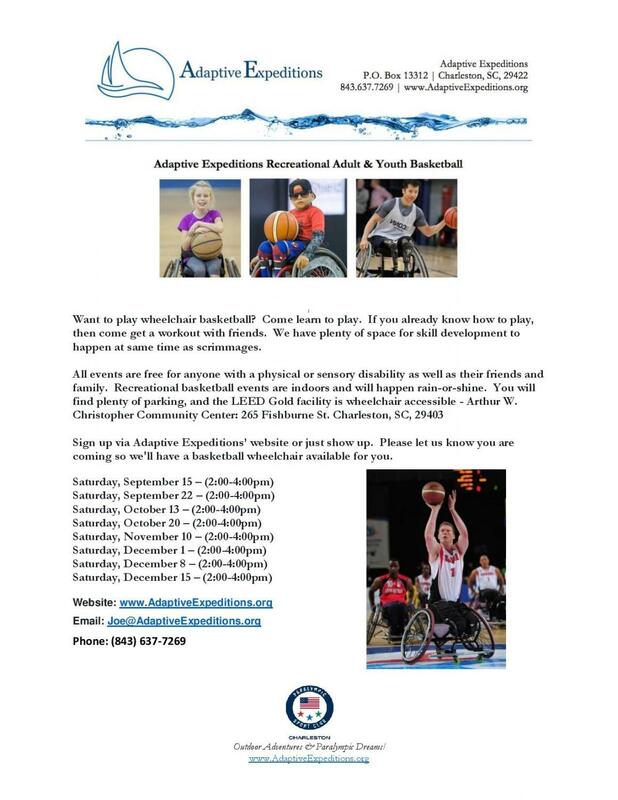 Adaptive Expeditions has lots of upcoming basketball events to get involved in. See below flyer and click the links to learn more and join! We have another great special event opportunity coming up this Saturday, October 6: Universally Accessible Yoga at Charleston Pour House Back Deck (5 people with SCI related disabilities have already signed up).